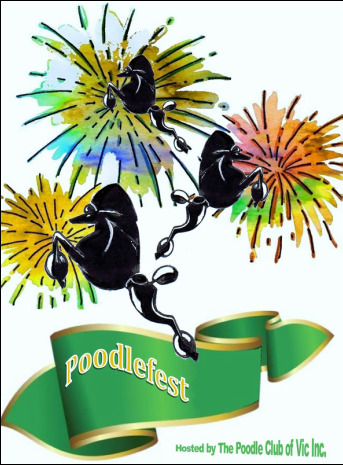 Poodlefest 2016 - The Poodle Club of Victoria Inc.
3 Shows in 3 days - what an opportunity! MONDAY 19TH SEPTEMBER, 2016: THE POODLE CLUB OF VICTORIA INC. CHAMPIONSHIP SHOW - After RAS Poodle Judging. To be held under the Rules and Regulations of the Victorian Canine Association Inc. A copy of the Rules may be inspected at the office of the Secretary. Please send an entry form with details along with a resume of your dog, approx. 50 words. I got my first dog, a miniature Poodle, in 1986, which was also my first show dog, purely by accident. When we got him, I knew nothing about dogs or shows, so I went to a library to read more about dogs and found in books, the many interesting things you can do with your dog. So I decided to try. We did quite well, considering I was a teenager. With very limited showing, we finished several championship titles, including International champion titles and a few SBIS wins. I fell in love with this breed so much that I have bred and showed Poodles up to the present time. Under my prefix RISDAN'S, with very limited breeding, I have bred some very successful show dogs. This includes BIS winners, and winners at the most prestigious shows such as European and World Dog shows. I have never counted, but I believe I have bred around 20 International Champions and all together my dogs have over 100 Championship titles. I started judging in 1993, and am approved to judge FCI groups 4, 9 and 10 and have been honoured to judge in 19 different countries. 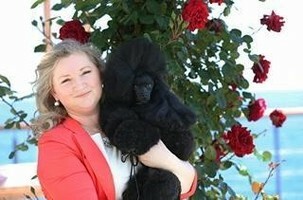 I have been a member of the organising teams of several Specialty, National and International shows, and I have also been president of the breeding committee for Poodles in Slovenia. My life has always been surrounded by dogs. Besides Poodles I lived with Shih Tzus and Lhasa Apsos. Currently I am showing just Poodles, but the latest addition to our show team is American Cocker boy. at MELBOURNE SHOWGROUNDS, ASCOT VALE. Judging Time: After RAS Poodle Judging. When Hiroshi entered University at 18 years of age his mother gave him permission to start breeding dogs, beginning a life-long involvement. He has bred and exhibited Cocker Spaniels (American), Great Danes, Scottish Terriers, Maltese, Italian Greyhounds and currently Japanese Chin. Hiroshi has achieved JKC Champion titles with Cocker Spaniels bred in 7 different colours. In 1999, at celebrations marking the 50thanniversary of the founding of the JKC, he was honoured to receive the JKC Top Breeder Award. In 1978, he qualified as a JKC judge of Cocker Spaniels (American) as his first breed and qualified as an FCI & JKC All-Breed judge in 1984. Since then he has judged at many top shows around the world, including many FCI World Dog Shows, the AKC Eukanuba National Championship Show, and Eukanuba World Challenge. He has judged at major shows in more than 30 different countries across Asia, Europe, South and North America, Oceania and continues to adjudicate in many countries world wide.Hiroshi has been a member of JKC executive since 1987. 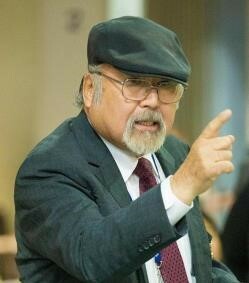 He served as a Secretary-General and Executive Director for 19 years until May 2006. During that period, he also served as a member of the executive committee of the Asian section for the FCI. 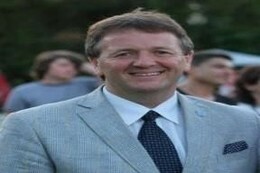 He last judged in Sydney in 2011. Denis Kuzelj entered into Canine Cynology in 1980, 35 years ago. His career started with exhibiting and breeding Old English Sheepdogs under prefix Apsala with his BIS winning dogs awarded many National and International titles at FCI shows. Since 1989 he has been the organiser and Chairman of more than 100 International and National all breed shows in Slovenia and other European countries. For many years he has been treasurer of Slovenian Kennel Club and was a Board Member and President of Slovenian Kennel Club from 2004 – 2008. Denis was also an official FCI supervisor and delegate at FCI European Dog show in Leuweerden in Netherlands in 2011 and European FCI Dog show in Bucharest in Romania 2012.